* the side(s) of the plane on which the sun will shine (and its forward/backward and upward angles) for the duration of the flight. 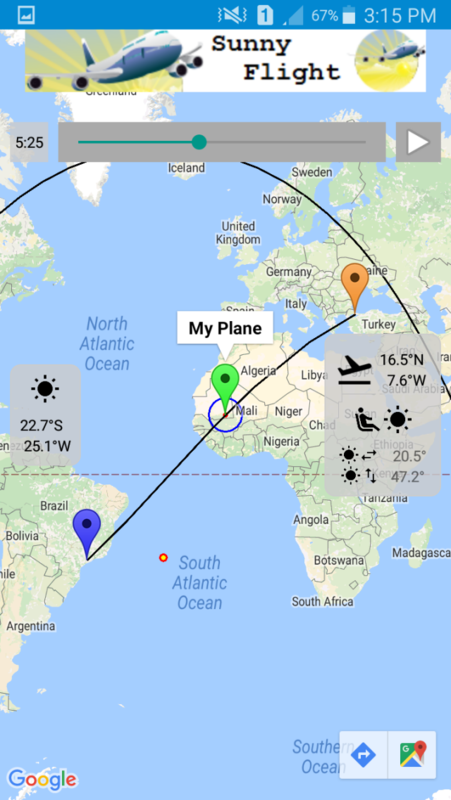 It lets you make an informed choice of your airplane seat, based upon your wish of being in the dark (for comfort, eyesight protection, sightseeing, etc. ), or being on the sunny side (photography, etc. ); even if you are not seated at a window. * Sightseeing (looking through the window at the landscape). IMPORTANT: actual flight paths may not follow a great circle; some reasons can be: climate (storms), tailwinds, air traffic, flight restriction areas (e.g., military areas), political conditions, security risks, waypoints, proximity to alternate airports for emergency landings, etc. Some of these conditions vary and are known only until very close to the take-off. Sunrise/sunset times are calculated based on an average flight level (typical flight levels for airliners may vary from 18,000 feet up to 40,000 feet); for our purposes, they happen at approximately -3.0° (below the horizon). 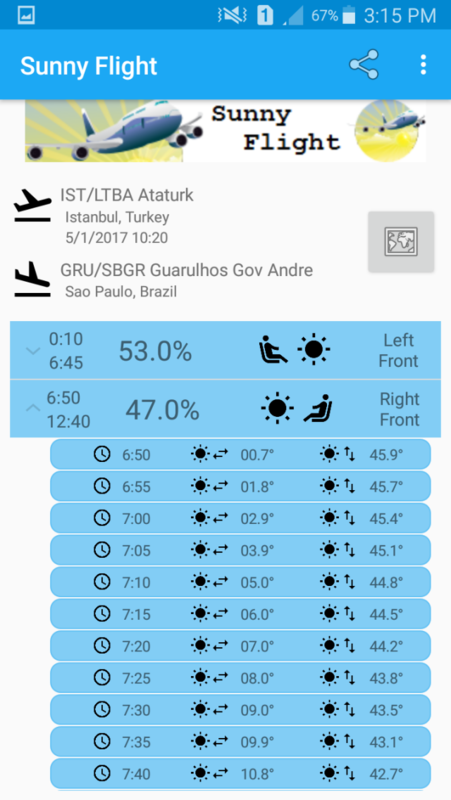 Departure delays are not considered either; in these cases you can recalculate the flight conditions with the new departure time and estimated duration. 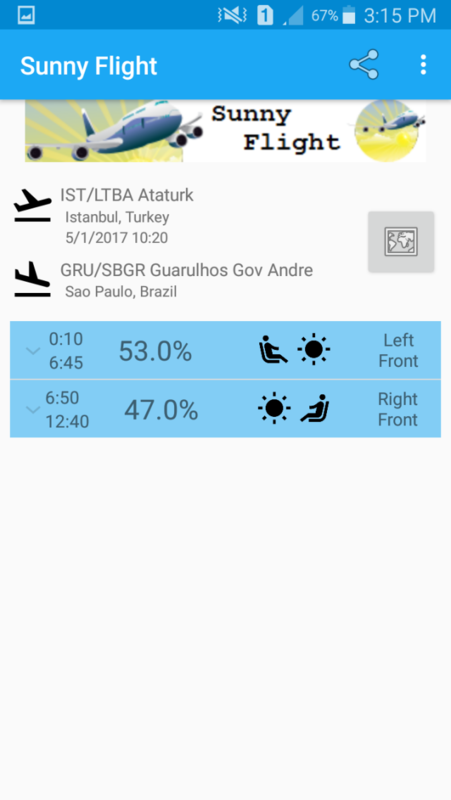 This app is ideal for the frequent or sophisticated flyer, who cares about his/her comfort; for the informed flyer, who checks sites like seatguru.com or tripadvisor.com; for the eventual traveler; for the aviation aficionado; for crew members; etc. 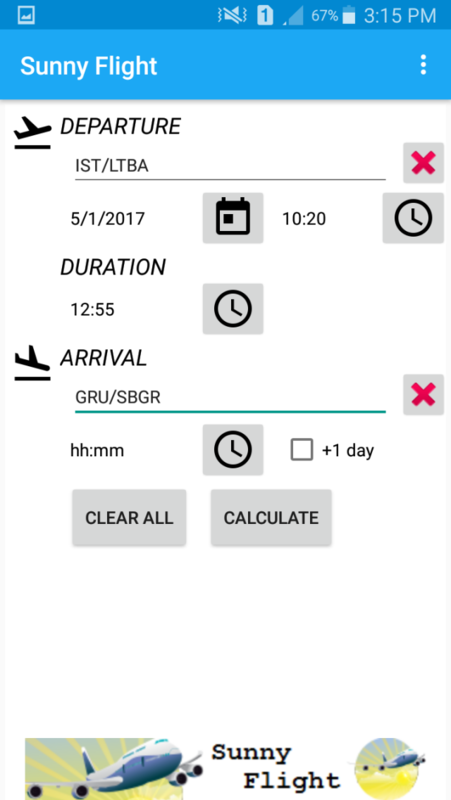 This app is NOT a flight-booking app. 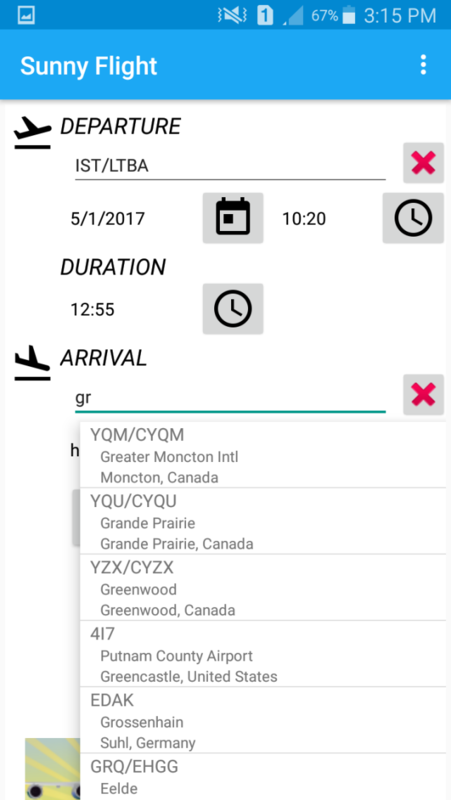 This app is NOT a flight-tracking app. This app is NOT for on-line check-in. Mechanical engineer with experience and some success. Trying with Android.